Now that the clocks have changed and the weather is colder the light has really disappeared from our lives. Did you know that sunlight can have a direct impact on our emotional health and wellbeing? A lack of sunlight can leave us feeling SAD (Seasonal Affected Disorder), which is a recognised seasonal depression, you can understand more about SAD on the NHS website. 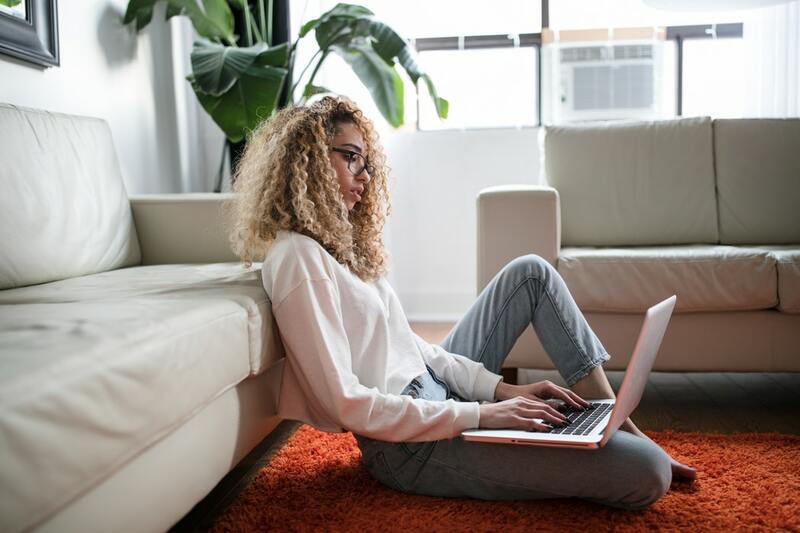 If you are affected there are a number of low cost SAD solutions to try at home that are likely to help you beat the blues. The lack of sunlight is really not good for many of us, especially those getting up in the dark mornings, heading straight to work and then not coming home again until after dusk. If you find yourself recognising a few of the symptoms above then you can take action to reverse the effects before you start feeling overwhelmed. We all need to ensure that we are looking after both our mental health and our physical health. We have researched a number of low cost ways to try and beat the effects of SAD on our wellbeing. These small changes could help you better manage your emotions during these dark months. Stick to a routine for getting up and going to bed at pretty much the same time each day. This has a huge impact on our health and research shows that we sleep better when we have a sleep routine. Take in the natural sunlight when you can. If you work full time this might mean that you need to make the effort and get outside for a walk during your lunch break. We need the natural light and not many of us get enough in these dark winter months. If you work indoors try and sit near a window where you will get some natural light. Make the most of your weekends by getting outside. Even if it is cold and you really want to snuggle on a sofa all day and snooze, pull on your coat, wrap up and get moving outdoors. This will instantly lift your mood and release those happy endorphins. Exercise also releases those happy feelings so make sure you don’t hibernate this winter. Find something that you enjoy and do it regularly. Make your home as light and airy as possible. Open the curtains and blinds, don’t obstruct windows. Open the windows each morning to get some fresh air into the house. If you have tried all of these and you still feel low it is worth trying a Lumie Bodyclock Starter 30 Wake-Up Light Alarm Clock with Sunrise and Sunset Features . These clever SAD lamps mimic the natural sunlight and help trick our bodies when we are not naturally getting enough sunlight. 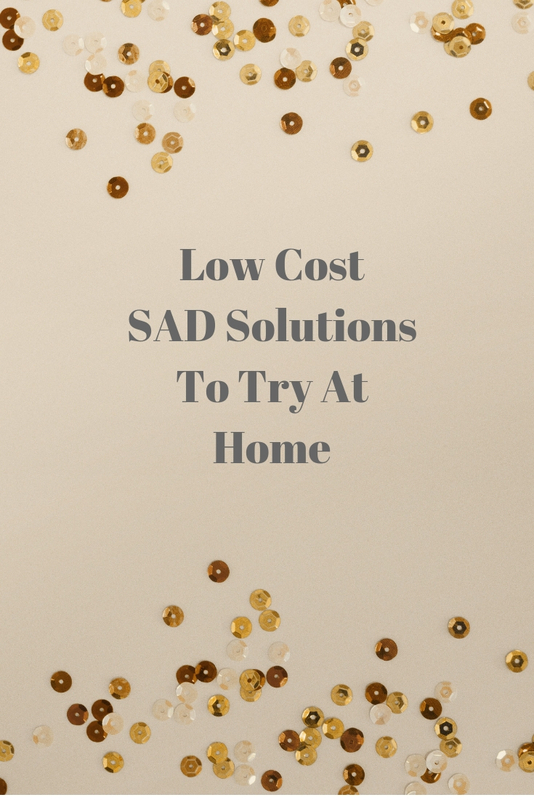 These low cost options are all home solutions to beat seasonal affective disorder. We can’t change the weather and we don’t all have enough money to emigrate for a few months of the year and therefore we need to learn how to manage SAD and find the SAD solutions that work for us. Do let me know how else you manage feeling low in the winter months. Do also remember that if your feelings do overwhelm you then a visit to a GP is essential especially if it is impacting negatively on you everyday. It natural to feel SAD some times but not everyday. Good suggestions here for dealing with SAD. I have it – it’s not severe but I do have it. 1. Take a good vitamin D supplement daily. Good for immune system, moods and bone health. 2. If you can make the investment – invest in a light box and sit in front of that as per its instructions. I use one and helps.